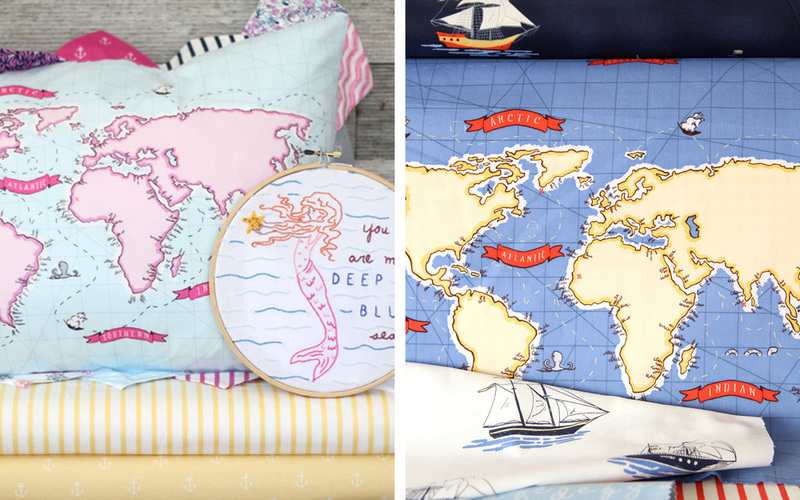 Peter Pan Fabrics are a nod to the original storybooks written by J.M. Barrie, the story we all know and cherish. With classic colors and designs reminicent of the vintage storybooks of decades past, this collection brings back the magic and classic feel of this beloved story. Enjoy small prints, lovely viniettes and border prints to give way to so many uses. For grown up children and children a like! Best of Sarah Jane is a collection of the most popular prints from Sarah Jane's first two collections with Michael Miller Fabrics. Hand picked to reflect the best designs as well as to create the best collections, these designs are originals from CHILDREN AT PLAY (2011) and OUT TO SEA (2012). These designs come in their origional colors as well as a new recolored colorway that reflects a more modern palette. We hope you enjoy these reprinted and recirculating pieces! Nutcracker Act 1 is a classic take on the story we all love. Infused with classic colors of navy, gold, red and green, this collection brings a richness to your Christmas Fabric collections. Plaids and florals also add a classic touch, making us feel like we are back in Clara's home, ready for a Christmas Party. 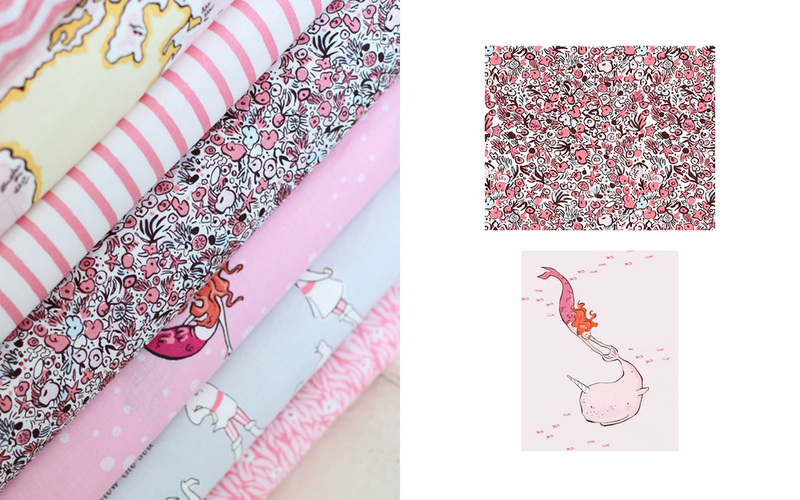 These fabrics are availably in lovely Cotton Couture as well as Minky and available through Michael Miller Fabrics. 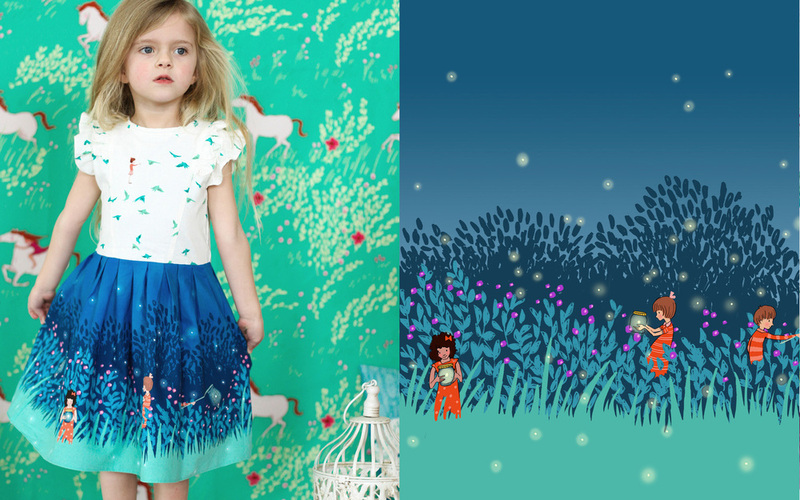 The Wee Wander collection is a play on words. It’s a “little” wander, or let’s all go on a wander. All these feelings and images are part of my childhood, and it was so magical to recreate that into a collection of fabric that I think resonates with every child. A sense of wonder, wander and whimsicality that we all (I hope) still recall those carefree days of childhood. This collection comes from my own childhood memories of playing outside and wandering through the meadows and woods behind my house, with the only curfew being supper time. Wandering without boundaries. Daydreaming without having to be reeled in. Staying up past dark on summer nights to catch fireflies. And watch the twinkling trees in the distance. Let’s Pretend fabric collection was inspired by that phrase that I just adore as a mother. It’s a daily scenario: I’m in the kitchen, and the kids are in the next room pulling out toys or maybe nothing at all, and I hear “Hey! I know! Let’s Pretend that I’m a super hero and you are a dinosaur king……” and it goes from there. It’s the kinda thing we take for granted. But it’s exactly the thing I’m going to miss when my kids are too old for that kind of play (sigh.) I wanted to create a collection that really had spontaneity and life to it….but at the same time pulled on that playfulness we all love about children at home. 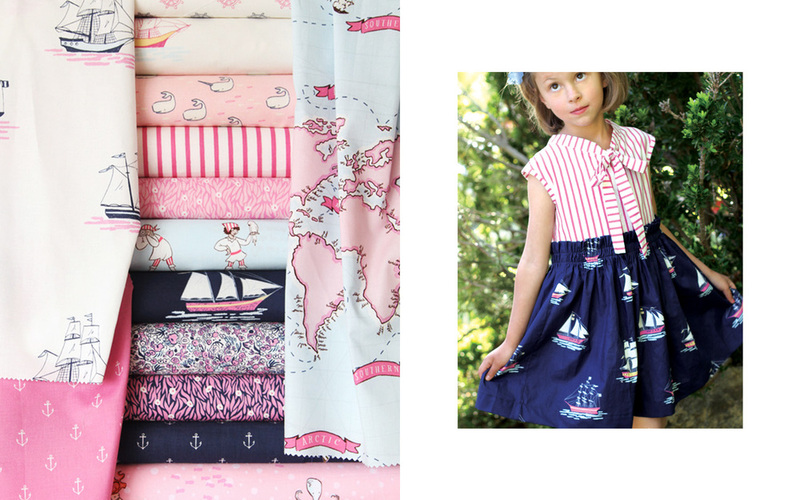 Out To Sea fabric collection is my offering to the whimsy of maritime travel, because every child dreams of adventures on the sea. 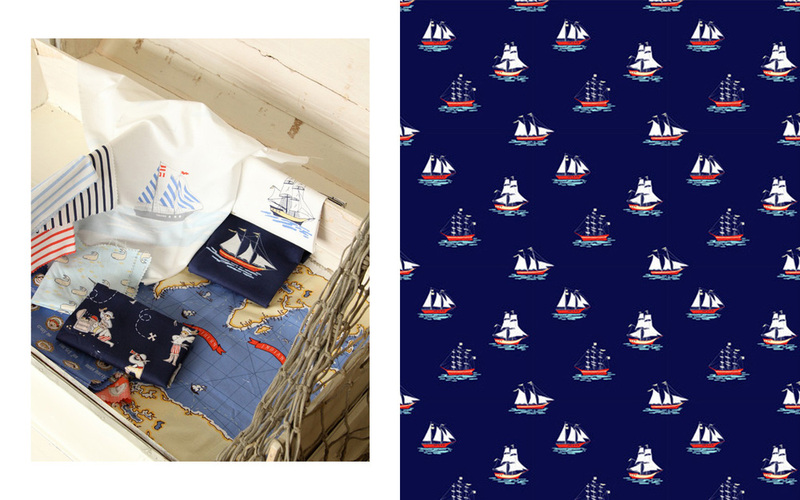 When I was designing this collection, I paid a lot of attention to the classic elements of Maritime Fancies….but also to how children imagine and play. The map print is a good example of that…perfect for running fingers through the ship paths (the fabric has printed dashed lines). So this collection really has a good mix of larger scale fabrics, and small….which is my way of encouraging lots and lots of variations in project making. And I needed to have Narwhals. It was one of the first inspirations behind the collection. 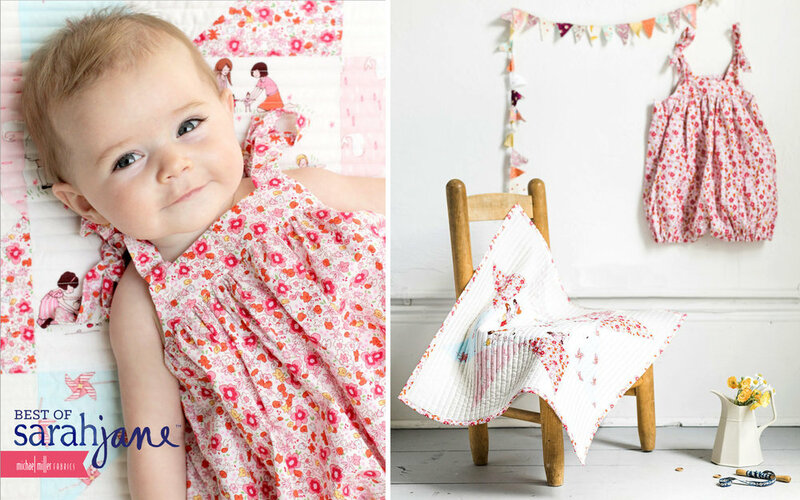 Children At Play is my first fabric collection, a 52 piece quilting fabric collection that is inspired by my love of simple play, innocent childhood and everyday play activities. Girls playing dolls, boys making rockets, children on parade and boys making paper hats. When I designed Children at Play, I was very aware of how these designs would be used, and I was careful to choose colors that represent what I love about childhood, as well as color that is classic and easy to use. One part soft, one part playful! I was also very careful in creating a collection that while split into boy and girl fabrics, allows a wonderful crossover in color and design. You’ll notice blues and oranges and yellows cross over and make for great combinations. Perfect for sewing up items in rooms where little girls and boys share their spaces.